The franchising of the Crown Post Office on Topsfield Parade appears to have entered the final stages with an announcement of the retail operator. The change over is given as November. The branch will continue to be run from the current premises by Universal Office Equipment (UK) Ltd. UOE are a office supply/stationery company which branched out into running in-store POs in East Finchley in 2014 (the staff will be employed by UOE). People may recall a BBC documentary about the issue shortly afterwards. The current premises will undergo a complete internal refurbishment to provide a bright, modern open-plan branch with the introduction of a range of stationery and office services alongside the Post Office service. We have stringent standards to ensure good access for all customers and our plans for the branch include improving access by levelling the threshold. There will continue to be wide aisles, low-level counters, PIN pads, hearing loops and customer seating. Directional signage will be provided from the entrance door through to the Post Office area which will be within a dedicated area at the back of the current premises. There will be five serving positions, which has been based on current and forecast future business levels, three open plan positions and one traditional screened position which will also provide travel money services, and a service point at the new retail counter. The clear advantage is the revision to the opening hours, which will expand to include all day Saturday and 4 hours opening on Sunday. Click on the poster below for details. – Thinking about your recent experience of using the Post Office, is there anything you would like us to consider which would make the premises easier for you to get into and more easily accessible inside? 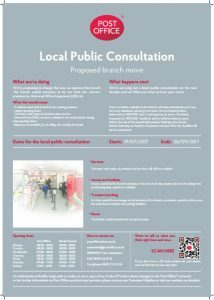 – Are there any other local community issues which you believe could be affected by or affect the proposed change? – If the change proceeds is there anything else we could do to make it easier for customers? There are of course pointed questions the PO would presumably be happy to avoid – about long-term viability for instance, particularly if the retail operation goes under, and the terms and conditions for staff which will inevitably change under a new employer. Indeed there have been public meetings, and local councillors and the MP have signed up to a campaign opposing the decision (pic below). There was even a youtube campaign featuring local celebrities. What happens next for those opposed to the plans is unclear – we’ll post in the comments should information come to light. 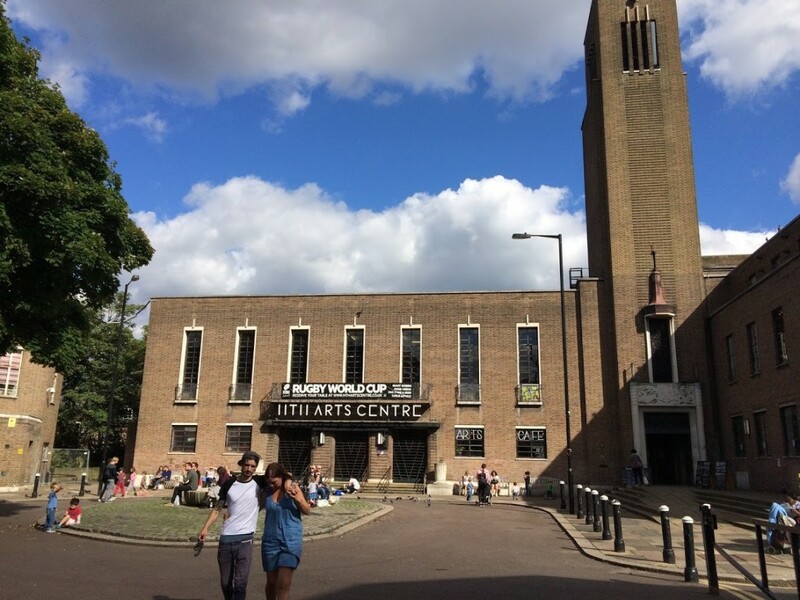 For those still wedded to the notion of the civic realm, alas the world appears to have moved on – the Town Hall has been sold off, Highgate branch library seems destined to go under the hammer, the Royal Mail delivery office disappeared, and even the town square will be privately owned. Any offers for a central Crouch End landmark timepiece-related building (one previous owner), good investment opportunity, some improvements necessary, may suit buyer with slight hearing impairment? 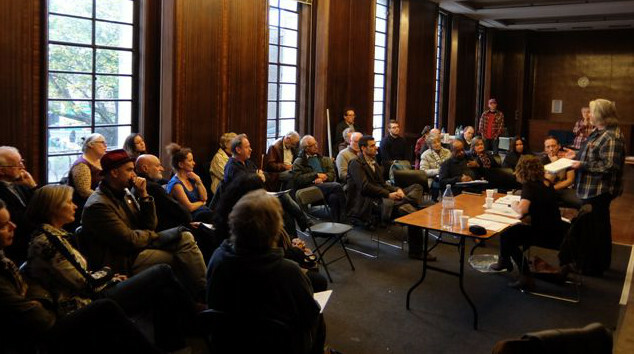 Campaigning against the move – what does Crouch End think? Now that the UOE people have completed the work at Muswell Hill PO, it’s our turn. The remodelling of the Topsfield Parade shop is about to commence – the last working day will be Monday April 30th, followed by a six week closure. A shiny new PO and stationery shop will re-open in June. Post Offices have always been hopelessly inefficient. By providing a very wide range of services it is inevitable that their counter procedures will be clunky and repetitive. Perhaps a private operator will insist on streamlining these. Opening for longer hours including Sundays will surely add to viability. Will the changes really deny helpless old people and the disabled access to vital services? Paul, thanks for the positive feedback on our East Finchley branch. Just so you know, all existing staff will have the choice to join us of we are successful with our proposals. No jobs at risk.. in fact were adding 20-25 permanent employees in total across or 3 new proposed stores … (allowing for existing staff to transfer this would be at least a net 10-12 extra local jobs for local people). I think there is an overlap in many people’s minds between the Royal Mail and the Post Office. Royal Mail is a plc owned by its shareholders. Post Office is still owned by the government. 330-730pm August 10 at Union Church Community Centre in Weston Park. Meanwhile the debate has widened to the Ham and High, which reports on a boycott of the new franchisee by campaigners warning of a worsening service – and to facebook, where users of the franchised PO in East Finchley report it to be actually better than before. I visited today’s customer forum, the only other visitors, while I was there at least, was a grim looking local Labour delegation. Once you stripped away the PR push, the proposal looks even better for customers, and the chap taking on the franchise, Elliot Jacobs (who posted above), talked a convincing game about providing an improved counter service. Apparently, redesign the service to better cope with parcels (which now take up 80% of the business), open 7 days a week and watch the queue shrink. I guess we’ll see. UOE are due to take it on in November (with the new opening hours from day one), and will entirely remodel the interior in the new year – the resulting shop will be double the size of the present arrangement with a PO section (of around the same dimensions as now) tucked behind a full sized (800 sq ft) stationery and office supply store. A brand new shopfront will follow. Having the service remain on Topsfield Parade is to be welcomed, and if the claims for POs are to be believed, the weekend opening hours should positively impact trading across the town centre. Wonder what the campaigners and councillors made of it. 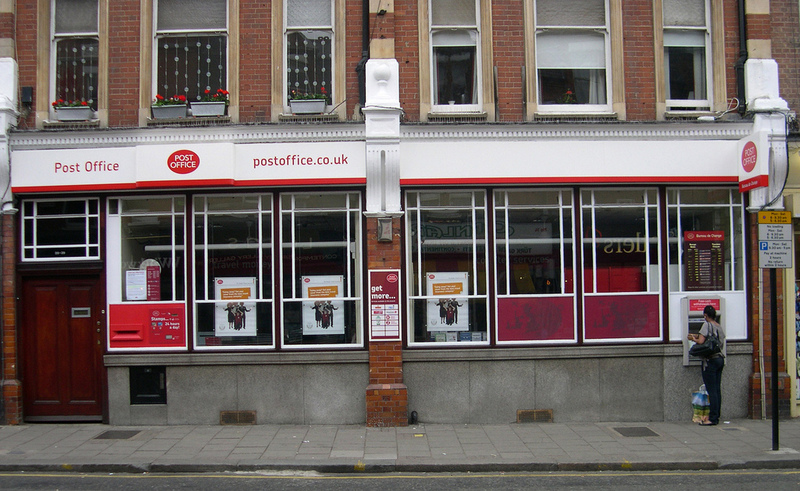 Post Offices in Crouch End and Muswell Hill are being considered for private franchises. If no franchisee is found, it is possible that the post offices could close. These post offices are important to the local residents and business owners, and are heavily relied upon by the communities they serve. If either closes, the nearest post office will be at least a bus journey away. This would be particularly onerous for the elderly and for people with disabilities. 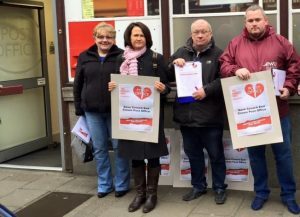 The Post Office must keep these locations open, and demonstrate a stronger commitment to the people and businesses who rely on the services they provide. Given that the PO has secured a franchisee, that it will remain open, and that it remains exactly where it is, I’m not sure what issue remains. The 2,500 will be pleased. I’ll be pleased too. I’ve just completed a whole heap of documentation and the ideal conclusion to the task would be to nip round to a local shop whence I can send a small package. Under the present arrangements I’ll have to wait until tomorrow, which the the task unsatisfactorily unfinished. Please note that I have a local suburban post office set inside a small ‘Tesco Extra’ which had its own room and supplies, behind glass as usual and counter for customers to address post etc. And knowledgeable and helpful staff. In an area with equal young families and old people outside London. On that Tescorefurbishing recently (competition from M&S food store opening soon nearby) the post office is now just one normal register in same row as all the others, but squashed against the wall and barely advertised. All staff are expected to serve there, minimal training. Tesco clearly doesn’t really want it. They’ve increased their own retail space by removing the P O room and relegated p.o. ‘service’ to an after thought, perhaps only there because required to keep it? P Offices have prime space in towns and locally. That is the only reason others want it. If it doesn’t thrive, say hello to another cafe/bar in Crouch End. The newsagent across the road from Crouch End post office sells the stationery most need! Never unerstood why old P Office didn’t grab the opportunity of being a secure internet postal centre, receiving parcels from Amazon for pick up etc. Is that what this PO Franchise is offering? The remodelling of the Topsfield Parade shop is about to commence – the last working day will be this Monday April 30th, followed by a six week closure.